The biosafety cabinet is a main clean equipment used in biological experiments to prevent the harmful effects of toxic and harmful air suspended particles on the experimental operators, so as to ensure the safety of the operators and the environment in the experimental process. Bio-safety cabinet provides reliable safety, standard HEPA high-efficiency filter, sample and environment protection, advanced SAFELOGICTM negative pressure leak-proof technology, innovative STABLFFLOWTM stable wind speed system, and BIOCASIONTM LCD large screen micro-computer control technology, especially suitable for various high-risk biological pollution experiments. 4. Clean grade of biosafety cabinet. 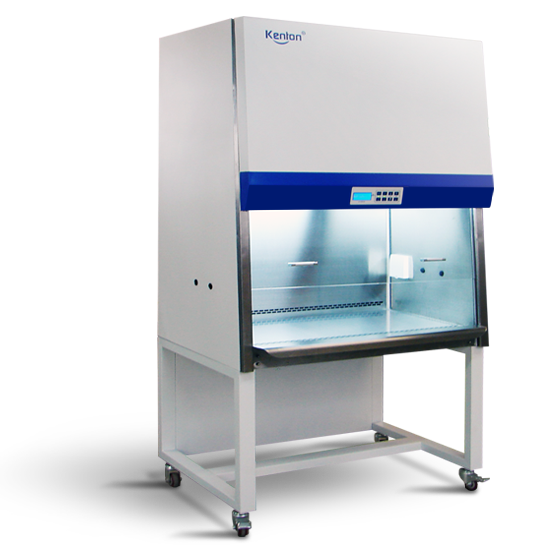 The speed of air entering the biosafety cabinet through the front opening is 0.38-0.5 ml/s. The directional airflow at this speed is very susceptible to interference. The airflow formed by personnel approaching the biosafety cabinet, the adjustment of the air supply system and the opening and closing of doors and windows may all be affected. Therefore, it is ideal to install the biosafety cabinet in a place far away from people's activities, the flow of goods and the possible disturbance of airflow. In the rear of the biosafety cabinet and each side, as far as possible, 30 cm of space should be left to facilitate the cleaning and maintenance of the biosafety cabinet. There should be a space of 30-35cm above the safety cabinet to accurately measure the speed of air passing through the exhaust filter and the replacement of the exhaust filter.